In the heart of Spinningfields, restaurant MCR offers refined dining under the watchful eye of renowned chef Aiden Byrne. His elegant six and nine course tasting menus change regularly to showcase the seasonal best of the region, with specially created vegetarian tasting menus and a three course lunch menu also available. At restaurant MCR the boundaries are continuously pushed, delivering a unique fine dining experience and staying true to that endeavour. Aiden Byrne’s menus at restaurant MCR bring together the best produce from local suppliers, to create a comforting, sensory experience that excites the palate of every diner. 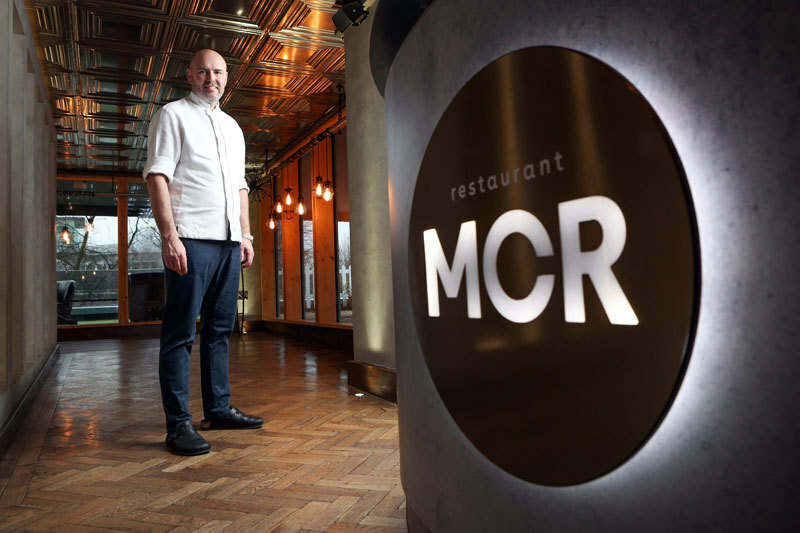 The restaurant at Tower 12 is at the heart of the city’s flourishing food scene, an institution in its own right, it belongs to Manchester, and our customers feel as if they belong there too. Having secured a Michelin star aged just 22, the youngest chef to do so at the time, Aiden’s career journey has taken in a number of the nation’s finest and best recognised dining establishments.